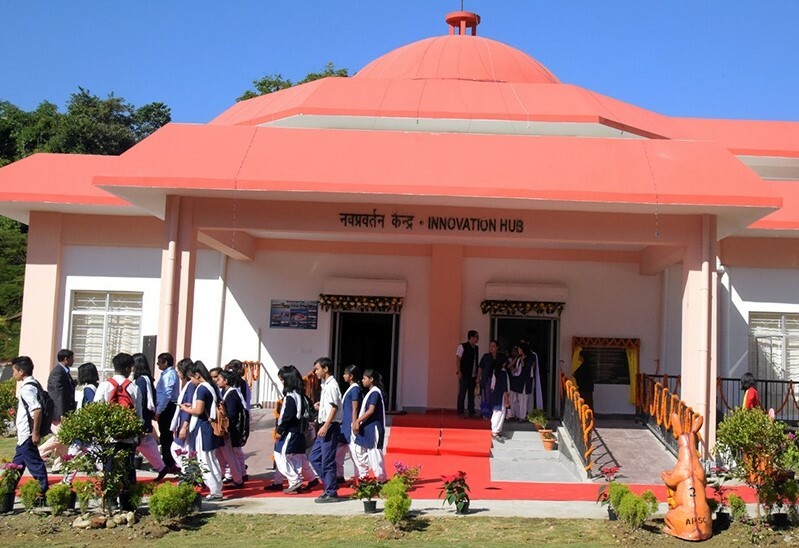 The Innovation Hub at Itanagar that was inaugurated on Saturday. Arunachal Pradesh Environment and Forest Minister, Nabam Rebia on Saturday inaugurated the Innovation Hub and Space Education Centre at Indira Gandhi Park in Itanagar. The inaugurations took place on the sidelines of the ‘All-India Annual Conference of Heads of Science Centres and Museums’ which got underway here on Saturday under the aegis of Arunachal Pradesh State Council for Science and Technology (APSCST) and the Central Department of Science and Technology. Addressing a gathering at the Dorjee Khandu Convention Centre after the inaugural function, Rebia said that he was deeply enriched by the learned deliberations presented by the speakers and urged the students to take full advantage of the conference and also the facilities that were being made available to them at the science centre. Appealing to the young students to strive hard to become scientists, the minister reminded them about young Indians shining all over the world in all spheres. He said that the science centre in Itanagar might be named after the former iconic Prime Minister Atal Bihari Vajpayee for his contribution to the nation. Replying to a demand by Bamang Mangha, the Chairman of APSCST, Rebia assured to provide land and forest clearance for construction of a proper road up to the science centre near IG Park. Warmly welcoming the participants from various parts of the country, the minister hoped that the conference would be useful in formulating innovative ideas for the growth of science in the State. He praised Mangha for pooling in resources from the Centre to create new assets for the State. G Ete, the secretary of Science and Technology department, said that the prime objective of the department was to spread awareness on importance and usefulness of science in everyday life.